VOICES OF PASSION is a virtual instrument of Female Vocalists from Wales, Syria, India, Bulgaria and America. Ethereal, Passionate, Flowing, Mysterious, Wailing and Whispering vocals for Film, TV and Game composers as well as Songwriters, New Age Artists and Zen Horticulturists. Altos and Sopranos. VOICES OF PASSION features 5 stunning female artists singing vowels, words, morphing vowels, effects, phrases, calls, whispers and breath noises. This is the first virtual instrument or sample library created specifically for use in the film/TV/game genre. This is also the first virtual instrument or sample library created specifically for use in ambient or new age music. 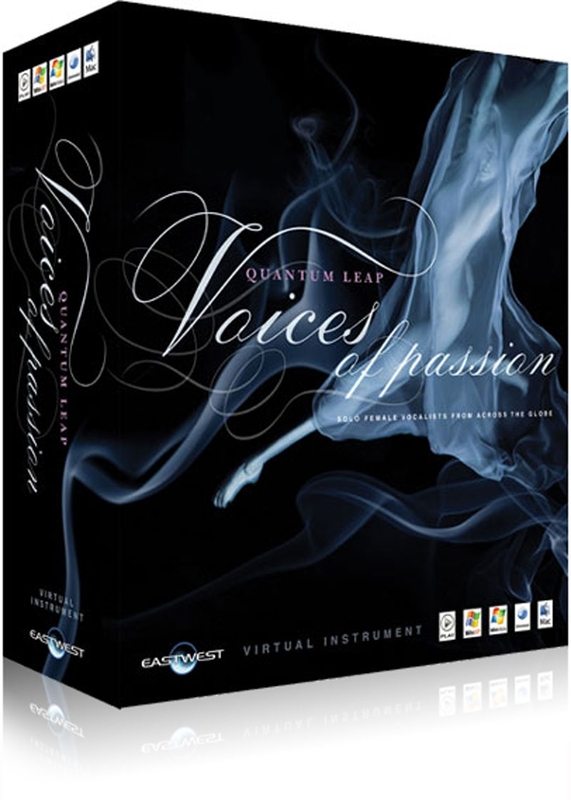 VOICES OF PASSION is the first virtual instrument to feature true legato intervals. The Middle Eastern and Indian phrases are presented in a construction kit format allowing users to create very long consistent performances. Mod-wheel controls entry point on ethnic phrases.